But first, Drawn & Quarterly has a new Kitaro volume, Kitaro’s Yokai Battles. ASH: Yes! It seems like forever since the last Kitaro release. SEAN: J-Novel Club snuck Invaders of the Rokujouma!? 20 out on me for this week, plus we also have Cooking with Wild Game 2 and Seirei Gensouki: Spirit Chronicles 4 next week. Kodansha has a bevy of digital, including a debut. 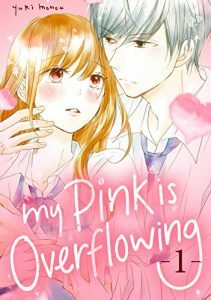 The title is My Pink Is Overflowing (Atashi no Pink ga Afurechau), which sounds filthy, and runs in Ane Friend. It’s about a girl who finds out her manager at work is a virgin, which excites her to no end. This sounds so trashy that I have to read it. ANNA: Me too, there’s plenty of other things to catch up on instead. MELINDA: Yeah, so not into this. Probably. Well, maybe. SEAN: Also digitally? The third and final Crocodile Baron, I’m Standing on a Million Lives 6, Love Massage! Melting Beauty Treatment 2, My Sweet Girl 2, The Walls Between Us 5, and World’s End and Apricot Jam 3. MICHELLE: I’m reading several of these (hint: not Love Massage). World’s End in particular is better than I thought it would be, given its premise. SEAN: We also have some print releases from Kodansha. O Maidens in Your Savage Season (Araburu Kisetsu no Otomedomo yo) is written by Mari Okada, famed anime screenwriter whose autobiography was put out by J-Novel Club, and drawn by Nao Emoto, who did Forget Me Not. It’s a Bessatsu Shonen title with an anime coming out this summer, and is a coming of age drama starring five high school girls. ASH: I’m particularly interested in this due to Okada’s involvement. SEAN: There’s also Witch Hat Atelier, which runs in Morning Two, looks AMAZING, is award-winning, and follows a girl who becomes a witch’s apprentice so she can learn magic to save her mother from… um… well, her own impetuousness. MICHELLE: It’ll be interesting to compare this to Ran and the Gray World. ASH: I’ve heard really good things about this title. MELINDA: I mean, even just the title. Definitely interested in this. SEAN: And we have Attack on Titan 27, Grand Blue Dreaming 5, Land of the Lustrous 8, and Tokyo Tarareba Girls 6. ASH: I’ll definitely be picking up those last two! 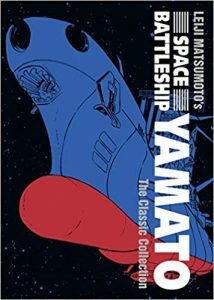 Seven Seas gives us Space Battleship Yamato: The Complete Collection. It’s so old it ran in Akita Shoten’s Bouken Ou, which no longer exists, and is better known in North America for its adaptation as a cartoon, Star Blazers. As with all Matsumoto, it’s a must-buy hardcover. ASH: Yup. Picking this one up, too. SEAN: And they also have, digitally, the 6th Make My Abilities Average! novel. Print will come later. Tokyopop has a 4th Konohana Kitan. Vertical has the first Knights of Sidonia Master Edition, with larger size, 2.5 volumes per omnibus, and colored inserts. Come for the bear, stay for the strangest harem manga ever. And Viz ends things next week, as we have a NeiR:Aotomata short story volume called Short Story Long. As well as Case Closed 70, Magi 35, and Sleepy Princess in the Demon Castle 6. ASH: Sleepy Princess in the Demon Castle is a consistently fun series. ANNA: I need to get caught up! SEAN: There’s some heavy hitters out next week. What’ve you got? I nominate Atashi no Pink ga Afurechau for the worst title ever conceived award. 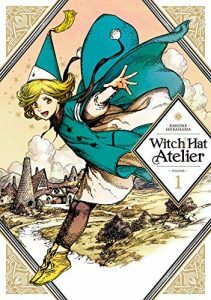 Witch Hat Atelier for best?